What stream to take in Class 11 after Class 10? Or simply the right career for you? Do not worry as most of the students who have just passed their Class 10 go through this confusion. 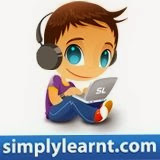 SimplyLearnt.com has an answer. Take a very simple personality test and answer all the questions in a way which is most natural to you. Remember there is no right or wrong answer. This is based on a popular MBTI based test. At the end of the test you will be given a suggestion on what stream will be best for you, what subjects you should take and what career options will be good for you. Do provide your email id if you need even more detailed results. Visit SimplyLearnt.com to take this test right now.